Come and "experience" the Music from a new angle! 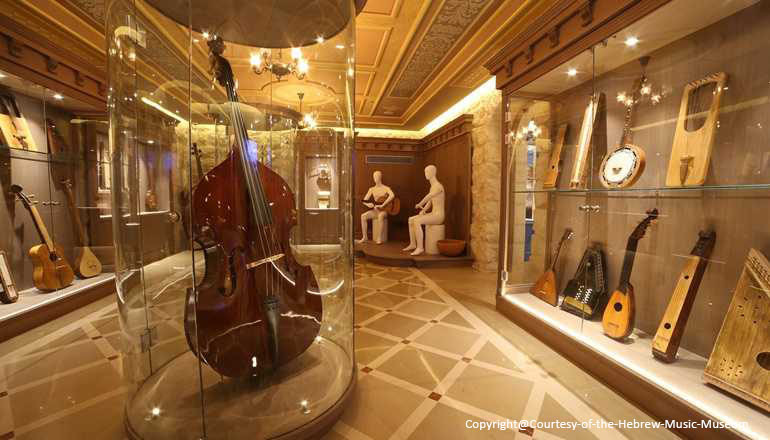 The Hebrew Music Museum, located in the heart of Jerusalem, is the only interactive museum of its kind in the world. historical periods and regions reﬂective of the diaspora. films and listen to Jewish liturgical poems (piyutim). The museum has seven magnificent exhibition rooms, each one designed according to the style of a region that the nation of Israel wondered to until the return to the Land of Israel. These are: Central Asia, Morocco & Andalusia, Syria & Iraq, Europe, the Balkans, Africa & Yemen and the Hebrew hall.